Toymaker Hasbro Inc may end up one of the biggest losers after Walt Disney Co agreed to buy Marvel Entertainment, as it loses out on a rich source of content for its new TV channel and faces much tougher licensing negotiations in the long term. Hasbro’s agreement with Marvel to make toys and games based on the latter’s characters extends through 2017. But what happens thereafter is a question mark, especially since Disney has a longer history with Hasbro’s arch-rival Mattel Inc. Some analysts had hoped Hasbro, the power behind such franchises as Transformers and G.I. 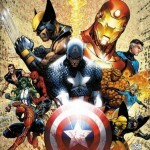 Joe, would be able to add some of Marvel’s stable of 5,000-odd characters including Spider-Man and Iron Man to its newly launched TV venture with Discovery Communications. Now, Disney would most likely bring Marvel into its own vast entertainment network, they said. 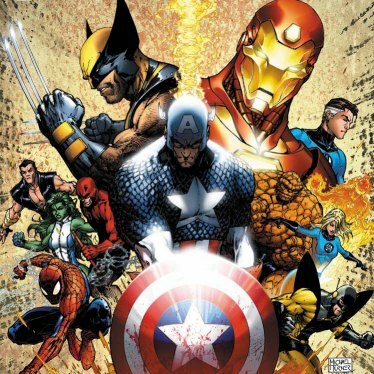 “In the near term, we expect Disney to deploy Marvel’s content onto its young male focused cable network, Disney XD,” UBS analyst Michael Morris said. “As many of these deals conclude over time, we will have the flexibility to either bring them in-house or pursue third-party licensing agreements depending on how we feel we can create the most value,” Disney Chief Financial Officer Tom Staggs said in a conference call. But the company is known to drive tough deals, so after it takes over Marvel’s brands, Mattel and Hasbro likely face tricky licensing negotiations in the future. oth Hasbro and Mattel face a tougher negotiator in deep-pocketed Disney when they try to secure lucrative contracts to churn out everything from toys to backpacks and lunch boxes, experts say. Mattel has deals with Disney for Cars, Toy Story, Disney Princess, Mickey Mouse and Winnie the Pooh, to name a few. Mattel declined to comment on the deal. For toy companies, licensed products help bolster sales, particularly during challenging economic times. In 2008, brand owners collected $5.7 billion in licensing royalty revenue, but that was down 5.6 percent from a year earlier as tight consumer spending took its toll, a Licensing Industry Merchandisers’ Association survey showed in June. If toymakers are worrying what the Disney-Marvel deal means for the longer term, they may have company. Viacom unit Paramount Pictures has worldwide distribution rights for Marvel’s ‘Iron Man 2,’ ‘Thor,’ ‘Captain America,’ ‘Avengers’ and ‘Iron Man 3’ movies, which are not affected by the deal, a Paramount spokesman said, adding that it looks forward to working with Disney after that.